18 May What is Twitter-Lite? By now, you have likely heard of Twitter and have possibly even used it before. It is a very popular social media platform where users can post status updates using 140 characters or less. 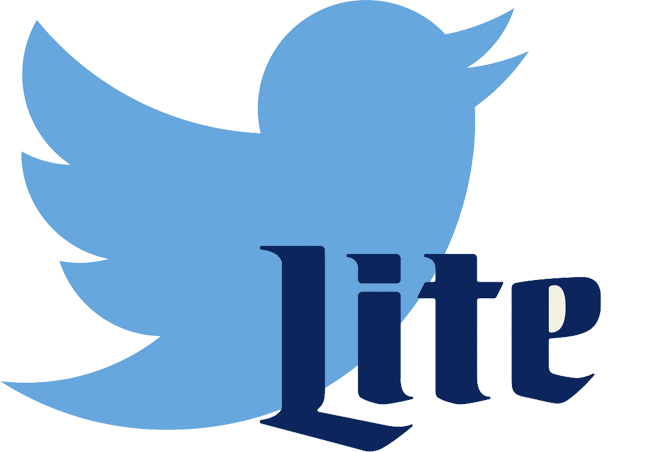 Even if you are familiar with Twitter, you may not have heard of Twitter-Lite before. Twitter-Lite was officially released by the company on April 6, 2017 and there are many benefits to using it. Twitter-Lite is a mobile web experience for users of Twitter. This new experience is a great option because it will load quicker on slower connections than the full version of the app, it minimizes data usage, it takes up less than 1MB on any device, and it is very reliable on mobile networks that may not be very reliable at all. Twitter has optimized this new experience for speed by creating up to 30% faster launch times for the web experience. There is also much faster navigation through Twitter. It is not the full version of the app in web form but it does have all of the key features that you would want including your personal Twitter timeline, Tweets, trends, profiles, Direct Messages, notifications, and media uploads. Now, Twitter is even easier to access than ever before. With the new Twitter-Lite, all you need now is a browser on a smartphone or tablet and you will be ready to Tweet and communicate with friends. Beyond that, there is a data saver mode which can allow people to reduce the mobile data that they use on the app even more. Because you do not have to download an app, you can even save room on your device. While saving data, you can still see a preview of images and videos to decide if it is something you want to fully load. Twitter is more affordable than ever to use, especially if you live in a place where data usage can be pricey. Anytime you want to use a lighter version of the app, you can use your browser to save data and your battery while still getting all of the necessities from the social media platform. Social Media: Friend or Foe For a Brand Crisis? In recent years, it’s become increasingly important to be able to deftly handle a brand crisis for a company. We’ve all seen the seemingly never-ending horror stories from certain companies–whether it’s reports from employees, customers, or both. You may be wondering if social media can be a tool to use to put out a reputation fire. It can, just as easily as it can fan the flames. Here are a few things to remember as you make your social media your friend and not your foe. You should already have a crisis management plan in place. If not, you should create and implement one as soon as possible. The worst thing is being caught flat-footed when a PR crisis arises. There are a variety of online resources to help you including this insightful post from HootSuite. Even if you have a plan in place for crisis management, you may want to review it and see how social media is a part of it, if at all. Do a SWOT analysis with your PR team on your brand to find where you may have some blind spots or vulnerabilities. Identify the media folks that your company has good relationships with–these relationships can be your company’s strengths. Make sure your PR folks are up to speed with what your company is doing so they can act accordingly, not blindly. Realize that a brand crisis can stem from social media. As people have smartphones, complaints and issues can be lobbed on your Twitter and Facebook pages (with pictures and video)–and you must be ready. Social media has now become the face of many companies, and how quickly you respond to a little brush fire of a problem can prevent it from growing into a full-blown forest fire. Do you have seasoned community managers that are equipped to answer questions calmly, quickly, and tactfully? Social media can be a way to create and maintain customer relationships. Your brand crisis could unwittingly come by your company’s own social media foible–a mishandled tweet or a curt customer interaction. Another way to prevent a brand crisis is to be known for excellent service. If you’re not responsive on social media, maybe you should reconsider this position. By having a cohesive, comprehensive PR strategy, you can make social media a useful tool for improving and maintaining your company’s brand and reputation.